Sport broadcasting giant ITV will review the way they broadcast live sport after they were left with no option but to cut short an interview with Jose Mourinho last night as they would have lost as much as £500,000 if they had decided to cut the adverts and run a longer interview with self styled Special One. 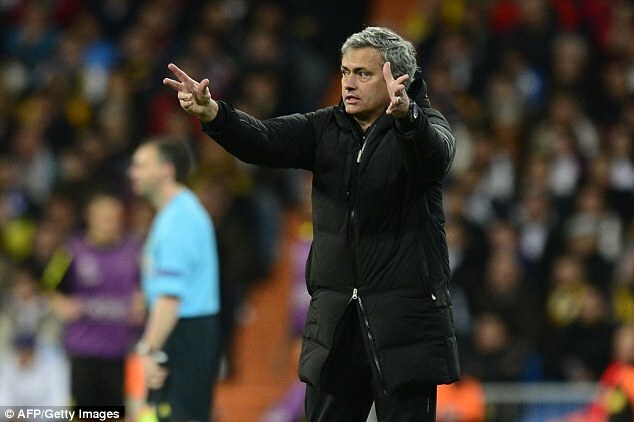 Mourinho appeared on the verge of revealing he will be at Chelsea next season in an interview with Gabriel Clarke, following his side’s Champions League semi-final exit against Borussia Dortmund, before it was cut. The ITV reporter managed to land a last-minute interview with the Portuguese, who was only contractually obliged to speak to TV channels from the two participating countries, but they were left with no choice but to cut him off and end the transmission. Missing the advertisement break could have cost ITV half a million pounds if they decided to cut an advertisement break to continue their interview with Mourinho. According to the broadcaster’s website it costs between £51,320-£60,390 to show a 30-second advert during their primetime evening shows, meaning it would have cost them upwards of £500,000 if they decided to cut the adverts and run a longer Mourinho interview. A decision to extend a transmission can be made by the programme editor – and is not impacted by the loss of adverts – but it has to be taken at least two minutes before the end, so ITV chose to show viewers what they could. The TV company transmit regionally and it takes that amount of time to physically alter programming. The spokesman added: ‘Our reporter, Gabriel Clarke, and the team managed to land an unexpected interview with Jose Mourinho with only two minutes or so left before the end of last night’s programme. Unfortunately, at that point it was too late to arrange an overrun of the broadcast beyond the allotted time. 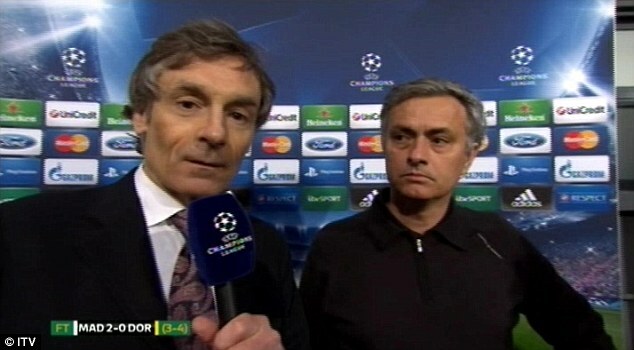 Mourinho was cut short just as he looked set to reveal all, sparking criticism of ITV. 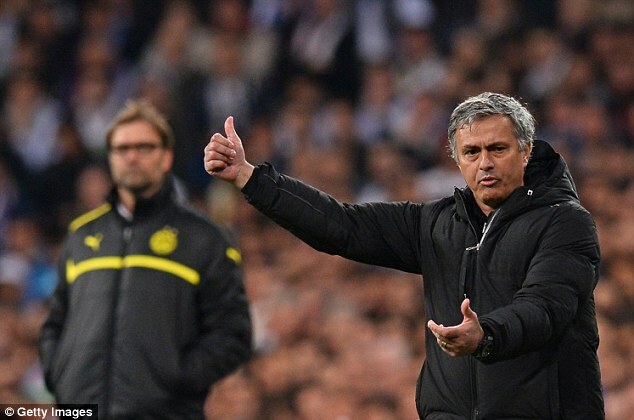 Mourinho later admitted in his post-match press conference: 'I know in England I'm loved. I'm loved by the fans, I'm loved by the media that treats me in a fair way, criticising me but giving me credit when I deserve it. Real Madrid forward Cristiano Ronaldo has also been linked with a return to the Premier League with Manchester United and he insisted Mourinho would have no bearing on his future. He said: 'I don’t want to talk about [Mourinho’s future], I’m only worried about the team and myself, not [the speculation surrounding] the coach. ITV dropped a clanger last night when they cut off Jose Mourinho when it looked like he might reveal all about his potential return to Chelsea. However, It was not the first time the station has irritated viewers at key moments. In South Africa 2010 world cup coverage, ITV was forced to apologise after their HD coverage cut off England's opening World Cup goal against the United States. ITV1 viewers saw Steven Gerrard's opening goal after four minutes but fans watching on HD were left bemused after the broadcaster suddenly switched to a Hyundai advert. Viewers of ITV HD had their coverage of the game suddenly cut short after just 3min 26sec of play. England defender Glen Johnson had taken a throw-in, when a Hyundai car advertisement was broadcast. The match later ended a goal a piece. The broadcast giant had earlier sparked a storm of protest in 2009 after millions of viewers missed Dan Gosling’s dramatic winner in the Merseyside FA Cup derby. After nearly two hours of a pulsating fourth-round replay - and with barely two minutes to go until a natural break - ITV cut to adverts in some regions. Instead of seeing the 19-year-old’s curled shot going in off Martin Skrtel’s leg to give Everton a thrilling 1-0 victory over Liverpool, viewers were being shown commercials for Volkswagen cars and Tic-Tac sweets.